No blog is complete unless it is tightly integrated with other social media platforms as well. There are hundreds of plugins to do that. I've handpicked some of the best to implement various social media integration features right on your WordPress blog. I've also included a few extensions for social media analytics to help you get the big picture of how well your blog is performing on various new media platforms. For high traffic blogs, I'll recommend an all-in-one plugin that includes various modules for complete social media boost. Almost all of these plugins are free with tons of features to configure and tweak the settings as per your requirements. In fact, you can combine more than one social media plugins listed below to get the required features. So, check out these awesome social media plugins for WordPress sites. Social Metrics Tracker - We often integrate social media sharing features on our WordPress blog but ignore rich tracking mechanism for the same. That's where this plugin comes handy. It collects all the post sharing statistics from all the major social media networks presenting them in a user-friendly format right within your blog dashboard. You can export all the sharing statistics in a spreadsheet to do the offline analysis. This can help you better understand the type of content your target audience wants. Power users can also use collected data from other plugins or themes. WPSSO - This is an all-in-one social optimization plugin that can help you boost your presence on various social media platforms. With tons of options, it can allow you to customize almost every aspect of social media integration. Apart from adding customizable Open Graph and other social meta tags, it also supports configuration of various standard SEO settings out-of-the-box. You can also facilitate easy creation of rich Pinterest pins through this plugin. It has various validation tools as well as preview options for several social meta tags. It's a must-have social media plugin. Socializer! - Apart from including regular social sharing features, this plugin also helps you deliver emails to the subscribers as well as creating HTML share links quite easily. You can also create short links for easy sharing via this handy plugin. Its optimized integration system doesn't slow down your site giving the best experience to the visitors. Through custom CSS, advanced users can easily customize the integrated social sharing options. You can also use a shortcode to precisely embed sharing features at the desired place. You can also hide sharing counts on a button. Simplified Social Sharing - This popular social media plugin supports over 4 dozen social media platforms where you can easily share content hosted on your WordPress blog. It's fully compatible with BuddyPress and bbPress extensions. With multiple ready-made themes, you can easily choose the best one that closely matches with your existing design. You can selectively add social sharing options on the desired pages. Its customization interface is very user-friendly allowing even new users configure everything quite easily. You can also add email and print options. 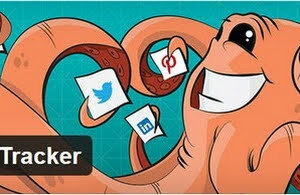 Super Socializer - This is yet another full-fledged social media plugin that is capable of fulfilling all your needs. Its social login module enables visitors to use various social media logins to register on your site. Similarly, visitors can also use the same accounts for leaving comments on the blog. You can also enable social feeds on your blog allowing visitors to easily track your social media activities. The advantage of using a social login system is a reduction in spam registrations. Many popular Facebook comments can also be used through this plugin instead of the native system. WP Social SEO Booster - As the name implies, this is a powerful social media plugin to boost your presence on search engines as well as on various popular social media platforms. It also adds HTML5 boilerplate optimized .htaccess entries automatically. An integrated rating system allows visitors to rate your published content. Twitter card options allow you to get more traffic from the microblogging giant. It's fully compatible with all the popular SEO plugins. Adding this plugin dramatically boosts your social and search presence giving you more followers. OnePress Social Locker - This impressive plugin presents an intuitive way to help spread your content on various social platforms. It presents a modal social sharing dialogue to the visitors asking them to first share the page on one of the social media networks before they can access the content. A rich social media analytics section shows you how visitors are interacting with the box and which platform is bringing you the most traffic. It can not only lock different types of blog content but can also remember visitors unlocking actions on their next visits. Social Stats Panel - This is yet another social media analytics plugin that presents the data in graph format that can be sorted at will to get a better picture. It can give you separate data both for the home page as well as for the single post pages. All the statistics are updated by the plugin on a daily basis so that you get the fresh and latest trends. It collects social analytics data for all the three major social networks viz., Facebook, Twitter, and Google+. You can use this plugin to deduce the type of content you should publish on your blog for maximum shares and visibility. Ultimate Social Media Icons - It is one of the most flexible social media sharing button plugins that can be customized through tons of options. Apart from using inbuilt icons, one can also upload and use their very own icon graphics. It has over a dozen different icons designs to choose from. You can also add various types of visual effects on the icons and can also associate different social actions with a single icon. You can either embed them in a fixed position or can make them float as the page scrolls. You can also add custom email subscription box to this plugin. WWM Social Share On Image Hover - This plugin is ideal for photobloggers who upload lot of graphic content on their WordPress blogs. Once activated, this plugin displays different social sharing icons as the mouse hovers over an image. You can easily align and position the icons within an image. It works seamlessly even on older versions of internet explorer without any issues. While sharing an image on multiple platforms, the plugin uses exactly the same version of the image. One can also specify the minimum image width to trigger the display of icons on mouse hover.